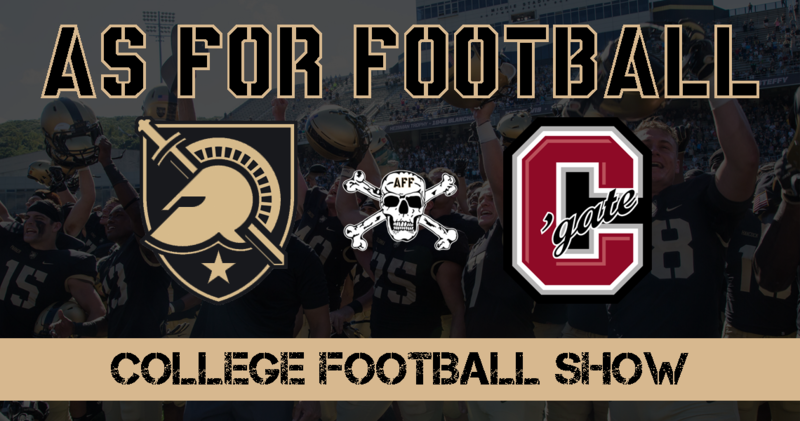 Rob Wright, Dan Cabeza, and John Szott discuss Last Weeks Win Over previously undefeated Colgate (1:40), Dan's Favorite Play (11:07), Top 25 Reaction (12:51), Army's Receipt for Success (21:28), What the High Water Mark for the Army Team Is (27:38), Option Play of the Week from CFB (32:00), and Rob lets John tells you the Best Thing the AFF Team Saw All Week (33:05). 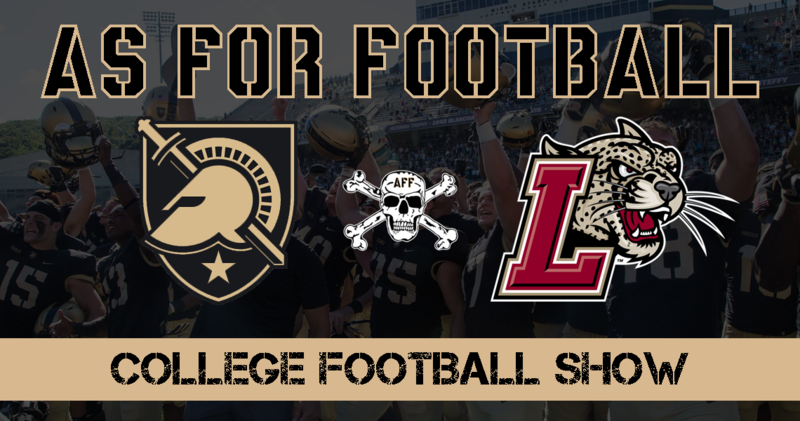 Rob Wright, Dan Cabeza, and Sam Crump discuss Last Weeks Win Over FCS Lafayette (2:03), Dan's Favorite Play (6:15), Colgate Red Raiders Preview (7:23), Option Play of the Week from CFB (12:48), Top 25 Discussion (14:00), New Year's Six (15:45), Cadet in the Red Sash Interview with Austin Lachance (19:50), and Rob tells you the Best Thing He's Seen All Week (31:27). 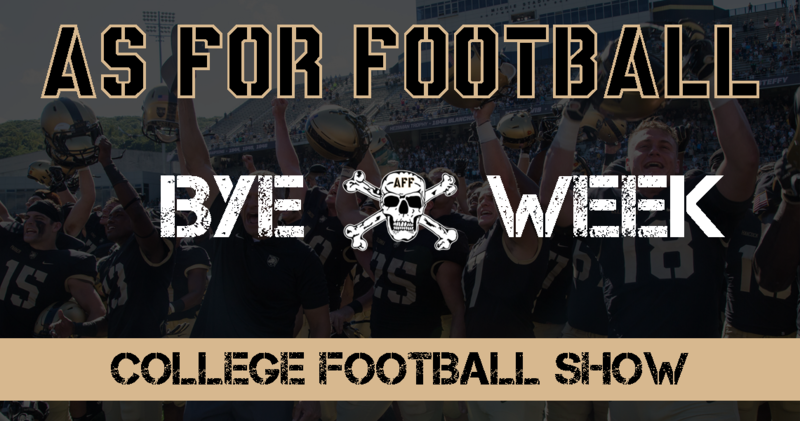 Rob Wright and Danno Cabeza discuss last weeks win over Air Force (1:34), Opening the Offensive Playbook (5:10), Post Game Shenanigans (7:24), Lafayette Preview (11:02), Turnover Chain (13:33), Cadet in the Red Sash Interview with Tom Le (14:52), and Rob tells you the Best Thing He's Seen All Week (25:03). 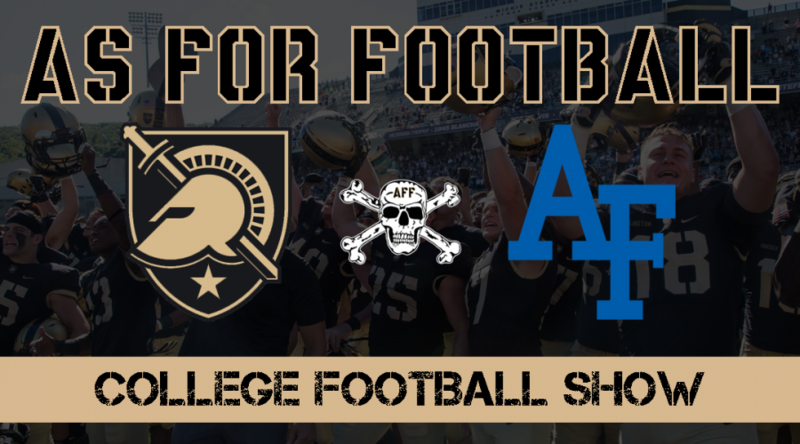 Rob Wright and John Szott launch the As For Football College Football Show and discuss last weeks win at Eastern Michigan (1:31), the MAC Conference (3:18), Army so far this Season (6:00), when the Black Knights will reach the Top 25 Poll and Twitter Conference Talk (6:27), preview the Air Force Game (7:32), Is there a Turnover Chain (9:37), Interview with Mike Nemeth during Cadet in the Red Sash segment (10:31), and Rob tells you the Best Thing He's Seen All Week (17:18).